No kidding- this release could have been close to being on par with classic Yes (with Tormato, in the very least), had it not been for one absolutely unpardonable flaw: Bruford's electronic drum kit. Rapid snare hits sound devoid of any velocity-sensitive mechanism. The toms scream "fake," making this feel more like a Phil Collins solo album from around the same time. The cymbal splashes are shallow. And the other percussion is largely annoying (from far-fetched "ethnic" drums to absolutely awful handclaps). Steve Howe's electric guitar parts are generally mixed so low that they become trivial. Master bassist Tony Levin does nothing spectacular at all during this entire album, which is sad, really. Jon Anderson sounds fine throughout most of the songs, but during heavier moments, sounds strained. Rick Wakeman is the highlight of the album by far, but even he isn't infallible, mainly because of a few poor tone choices. This is an album that is hard to rate, because it boasts some very good songs that were, for the most part, poorly executed. "Themes" Wakeman's gentle piano makes for such a stellar introduction, and then Bruford's horrible heavy electronic drums burst in, and along with some horrendous instrumentation, practically ruin what could have been a great opener. Wakeman and Howe are outstanding though, the latter in a subtler capacity. When Howe does solo, the rhythm section fails him; Bruford's heavy-handed marching snare just gets irritating. "Fist of Fire" As with the first track, this is largely Wakeman's affair. He employs a squeaky synthesizer lead in between lines, again while Howe assumes a more submissive role. "Brother of Mine" Soft synthesizer and Anderson's voice floating over it introduce this pleasing track. The rhythm guitar sounds largely uninspired, but Howe's lead compensates for this. Wakeman's piano interlude is fabulous, and with Howe soloing over it, I can't help but think of the middle part of "Turn of the Century." The handclapping makes an appearance toward the end, and the refrain would have been better without it. The ending is arranged superbly, but falls flat as the music just stops. "Birthright" The brooding synthesizer and percussion, with Howe's acoustic guitar in the fore, attempts to evoke the feeling of an epic battle. I don't personally care for the lyrics, even if they are well-written. However, this song is the sole exception to the Bruford's-drums-sound-horrible rule: His percussive work contributes well to the track instead of harming it. "The Meeting" Once again, Wakeman shines, doling out an expressive piano piece. Anderson's voice sounds great over it. "Quartet" The opening of this lengthy piece is one of the most pleasant parts, perhaps because it focuses on Howe's acoustic guitar and mandolin. Levin sounds like he's playing an acoustic bass also. Anderson sounds more natural here (as opposed to some other songs, where he seems to be is shouting). Howe's electric guitar tone is tasteful and clean. 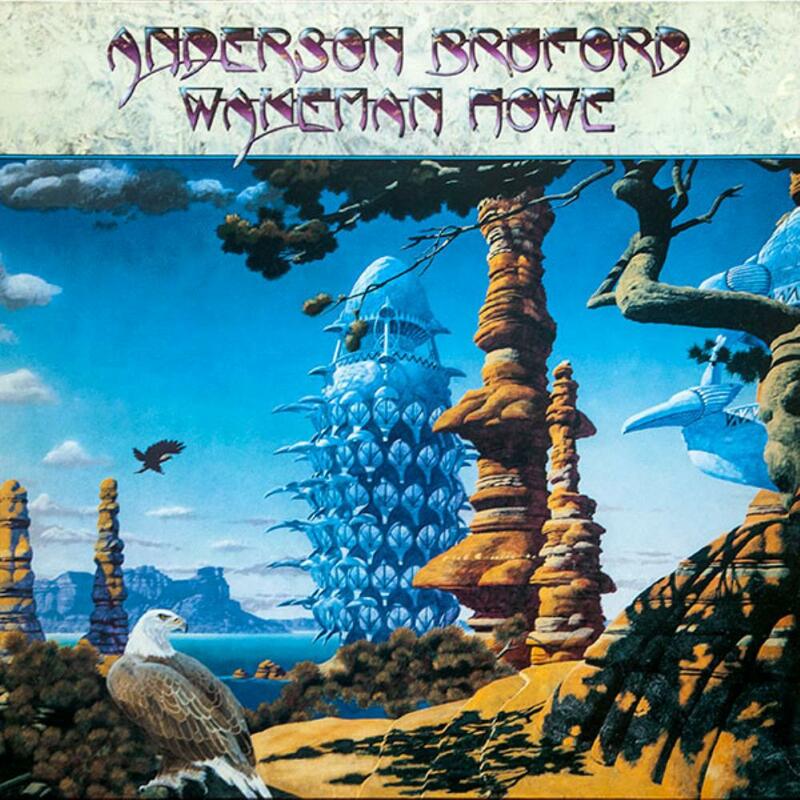 The lyrics consist of several nods to the titles of Yes songs ("Long Distance Runaround," "Southside of the Sky," "The Gates of Delirium," and "Roundabout" are four); that said, the words are typical Anderson lyrics, which is to say, either mysterious utterances with deep meaning or indeterminable nonsense. My main problem with this track of course is that it does not flow. The parts themselves are solid and delightful, but they are completely separated rather than musically conjoined. "Teakbois" This calypso-infused mess sounds completely out of place. Yes would try a similar Hispanic-tinged song on The Ladder, but with much better effect. Even after the Caribbean music subsides, the music drifts around in a sea of awfulness. Even Wakeman's spirited keyboards at the end cannot salvage this unpleasantness. Give me a margarita instead. "Order of the Universe" Despite the horrid electronic drums, I can not help but enjoy this lengthy track. It could have been far better, however. Howe's guitar is particularly great- mixed too low in my opinion. Wakeman's lively keys hop in and out like a young girl enjoying Double Dutch. The vocal melody initially sounds goofy, but definitely grows on the listener. Overall, this track is very similar to Rabin-dominated Yes; it's one that could have easily fit on 90125 or Big Generator, even though the guitar presence and general style of Howe and Rabin are completely different. While it could be entirely coincidental, the lyrics seem to give a nod to Chris Squire's song "Can You Imagine," which had been recorded during the XYZ sessions with Alan White and Jimmy Page (and which would appear in finer form on the Yes album Magnification). The chimes and gong at the very end go directly into the next and final song. "Let's Pretend" Howe and Anderson delight with this lovely, if brief, performance. It makes me remember the "Leaves of Green" section from "The Ancient."